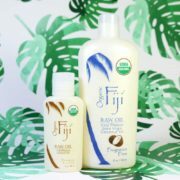 Organic Fiji is committed to creating organic body care products that are not only eco-friendly in substance but also: created from ethically sourced and clean ingredients, produced used sustainable energy and contained in recyclable and BPA free materials. We strive to offer you clean and ethical products. We feel that a product’s journey and it's necessity for purity is twofold. First, the ingredients that we use reflect our belief in organic and holistic living for your whole body. The age-old island traditions that motivate our product line celebrates the earth’s natural gifts that can nourish and heal. However, the journey moves further than from coconut to customer. The second part of the product’s journey moves from the customer back to the earth. We must be responsible in this full circle, considering the energy it takes to create the products, the people who handcraft the products, our everyday environmental efforts and most notably, where the products go once they are used. This mindful, conscious circle allows us to be ethical, responsible and polite guests as we inhabit this earth. Our organic coconut oil products are all wilderness friendly and marine safe, meaning you can use our organic body care line with the assurance that wherever you go on this beautiful earth, traces of these products will not harm or change the ecology around you. From surfing in South Africa to hiking in the Himalayas, go with bridgeable personal care. Our collection is also safe for the wildlife that shares your habitat. All the product containers we use can be recycled, allowing them to have another life and avoid adding to mass dumping. It is imperative we expand the way we view the journey of consumables and products. It’s important that we reduce the chemicals our body absorbs through body care and nutrition for our health, but it’s also just as important that we consider what our earth absorbs from what we use too. 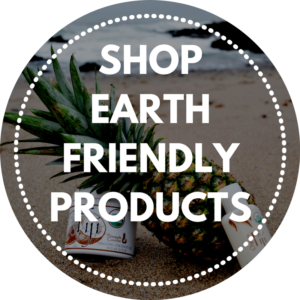 In celebration of Earth Day this year we are offering customers who switch to our eco-friendly products 22% off sitewide and free shipping! [Applied to orders $63+ | Free shipping to U.S. & U.S. territories only | Sale items will not be discounted further]. For every web order placed we will also donate $1 to The Surfrider Foundation. Coconut oil, cleaner coasts & conscious living – a trio sure to make you smile. Read more about our Giving Back program. The Idea: Earth Day is a global event that happens on 22nd April each year. Over 1 billion people in 192 countries now take part in what is the largest civic-focused day of action in the world. It’s a day to celebrate, protect and stand up for humans, biodiversity and the earth that we all live on. It is a day of where political action and community participation creates momentum in honor of our planet. 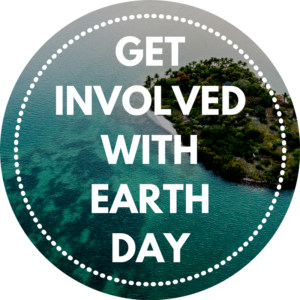 People get involved by celebrating what they love about the earth, cleaning up their local communities, planting trees, marching for cause, creating petitions, meeting with elected political officials and more. Large companies and governments use earth day as a bookmark date to create new eco-friendly initiatives and show how they are committed to sustainable living. 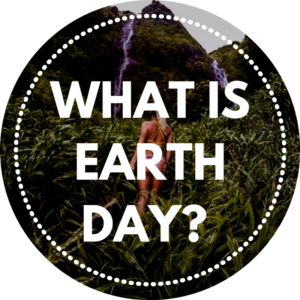 How it Started: The Earth Day Organization explain Earth Day’s roots with founder Gaylord Nelson. “The idea for a national day to focus on the environment came to Nelson after witnessing the ravages of the 1969 massive oil spill in Santa Barbara, California. Inspired by the student anti-war movement, he realized that if he could infuse that energy with an emerging public consciousness about air and water pollution, it would force environmental protection onto the national political agenda”. Then on earth day 1970 over 20 million people in America demonstrated across the nation to fight for a healthier environment and to bring awareness to the need for sustainable living. Groups and communities that had been protesting against factory pollution, toxic dumps, oil spills, pesticides, the extinction of animals and many more environmental issues suddenly saw they shared common values… not just with humans across the nation, but the whole globe! Earth Day Today: Earth Day 2018 is dedicated to creating a change to our attitude towards plastics. 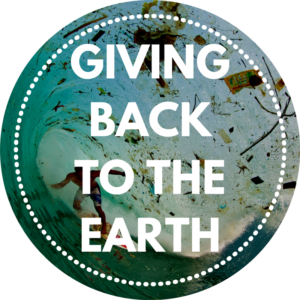 Now is the time to change our behaviors and learn what damage toxic plastics do to our world. “From poisoning and injuring marine life to disrupting human hormones, from littering our beaches and landscapes to clogging our waste streams and landfills, the exponential growth of plastics is now threatening the survival of our planet” states The Earth Day Organization. Today, the fight for our planet and environment continues. The consequences of climate change become more apparent every day. 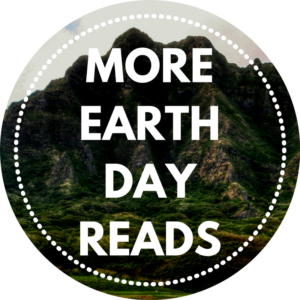 The Earth Day Organization invites you to: “…be a part of Earth Day and help write many more chapters—struggles and victories—into the Earth Day book”. 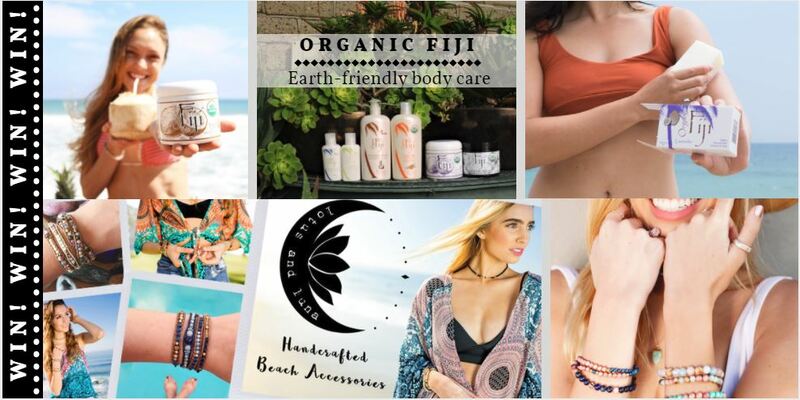 $100 worth of organic coconut oil products of your choice, $100 value mystery collection of boho fair trade accessories by Lotus & Luna -plus- big discount coupon codes for both brands! 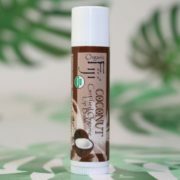 $25 worth of organic coconut oil products of your choice, $25 value mystery collection of boho fair trade accessories by Lotus & Luna -plus- big discount coupon codes for both brands! How to Enter: Enter the drawing as many times as you like by doing as many of the following entry actions as you choose. Post an image on Facebook or Instagram titled “Living an earth friendly life - in honor of Earth Day 2018 #earthday2018 #organicfiji #lotusandluna”. Tag @organicfiji & @shoplotusandluna. [Idea: post a picture of something you’re doing to live a green life, using reusable bags for example, or installing solar panels at your house]. 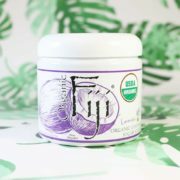 by posting an image on Facebook or Instagram which includes an Organic Fiji product and/or a Lotus & Luna product and title it “Earth friendly products! My favorite ______ because _________! #earthday2018 #organicfiji #lotusandluna”. Tag @organicfiji & @shoplotusandluna. [Idea: post a picture on the beach with a bottle of coconut oil wearing a Lotus & Luna bracelet!]. 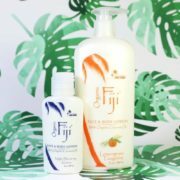 Order from Organic Fiji or Lotus & Luna and add in the checkout comments / special instructions “I am ___[insert an eco friendly effort___ to try and live a more earth friendly, earth conscious and earth responsible life! Happy Earth Day!”. Remember – enter as many times as you like! 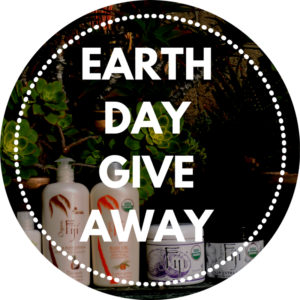 The more you enter the more chance you have of winning these eco-friendly products! The winners will be chosen at random on 22 April and notified via social media and/or email shortly after. Good luck and happy Earth Day! Images above may not represent the exact products you will receive. Free shipping of prizes within the U.S. & U.S. territories only. Value of products will be taken from full retail prices listed on websites. Current sales or promotions will not be taken into consideration when calculating values. If winner does not respond to first communication within 48 hours a new winner will be picked. Subscribed emails will be aded to Organic Fiji and Lotus & Luna email newsletter lists. Our organic coconut oil products are inspired by island life and the purity and healing touch of nature - we care about positively impacting our generous earth. That’s why we have decided to put a foot in the right direction and offer a $1 donation to The Surfrider Foundation for every e-commerce order we receive. 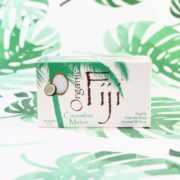 Purchase Organic Fiji’s coconut oil products knowing your order is creating a wave of change, protecting the world’s valuable oceans and coastlines. “The Surfrider Foundation is dedicated to the protection and enjoyment of the world’s ocean, waves and beaches through a powerful activist network. Our staff of nearly 50 people help support our chapter network in their campaigns, champion for policy and fight legal battles for our coasts, bring awareness to the issues facing our ocean, provide critical support on stuff like accounting, technology, and HR, and raise money to make all of this happen. We have an appetite for adventure and we all share a common passion – we love and appreciate our ocean, waves and beaches” explains Surfrider. Surfrider started in Malibu California, just down the Pacific Coast Hwy from Organic Fiji’s headquarters. A group of enthusiastic environmental surfers came together to protect Malibu’s coastline from overdevelopment and pollution. This group of committed individuals developed into Surfrider, one of the most powerful and proactive coastal protection agencies worldwide. Read more about our giving back campaign.